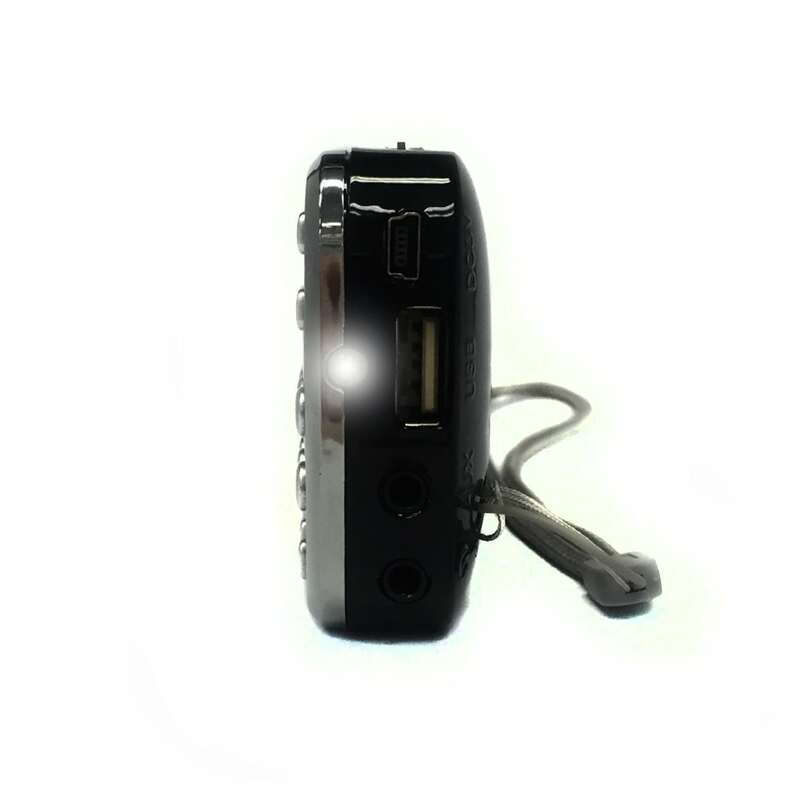 Portable and tiny, this AM / FM MP3 Portable Radio with LED Torch really packs a punch for its small size. 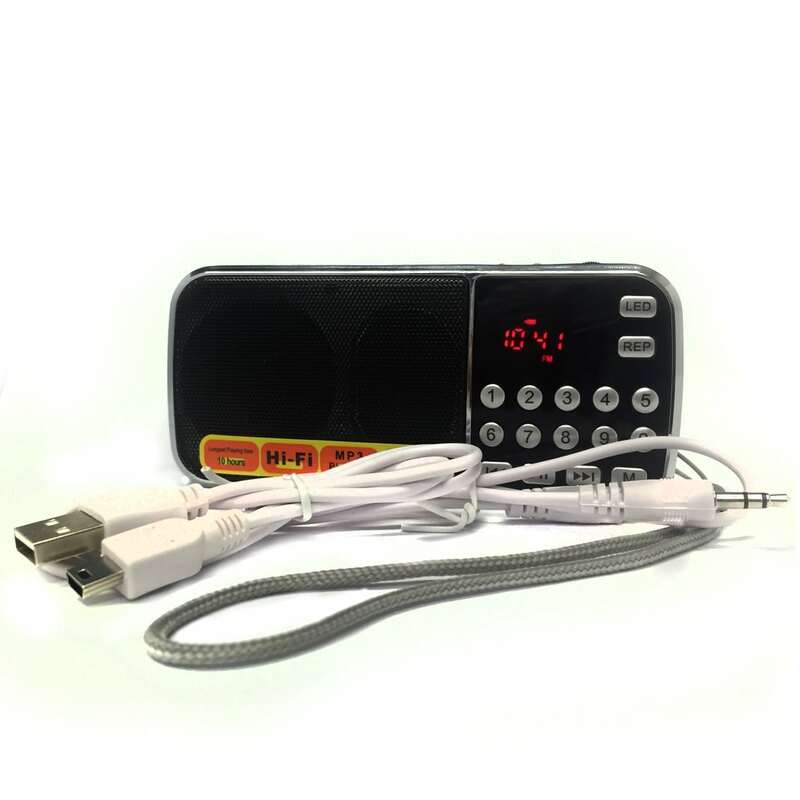 Take it anywhere and enjoy your favorite radio station or plug in a USB drive or micro SD card and listen to your MP3’s. 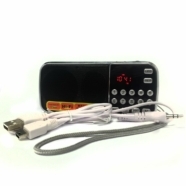 If that is not enough you can plug another device into it by the auxiliary port and use it as a portable speaker. 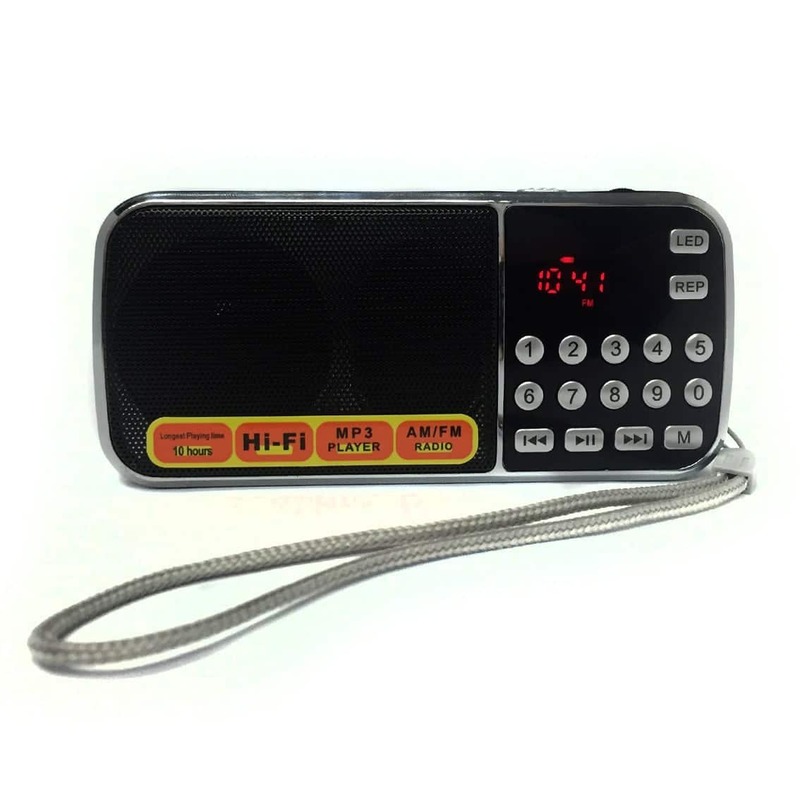 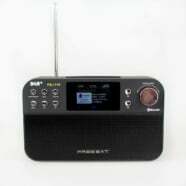 The AM / FM MP3 Portable Radio fits into the palm of your hand, the antenna is ingeniously incorporated into the wrist strap so no need to worry about those huge metal ones sticking out, which are common on conventional radios. Also, features an LED Torch which can be activated with the press of a button.